Getting beach body ready? We have a great dish to satisfy your food cravings whilst your watching your waist. Enjoy this amazing summer salad with the freshest and tastiest ingredients, perfect for your summer BBQ's. Boil a deep pan of water with a teaspoon of salt (to taste). Cook your new potatoes and eggs for 5 minutes. You may need to boil the potatoes for a little longer until they are soft in the middle. Drain water and place on the side to cool. In the same deep pan, add your green beans and little water to steam your beans for 5 minutes. Make sure you place the lid on the pan to steam. Once steamed, empty water and place on the side to cool. Wash your lettuce and tomatoes. Cut your tomatoes into quarters and peel the skin off. In a bowl, mix tomatoes, sliced olives, cooked green beans, sliced, cooked new potatoes and Merlot dressing. 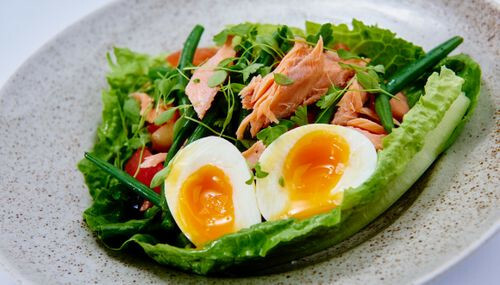 Add your cos lettuce to your bowl like the image and top with the above niÃ§oise mix and your flaked salmon. Peel the shell off your egg and cut the egg in half. Add this to your bowl like the image above. Garnish with micro parsley and season with Malden salt. 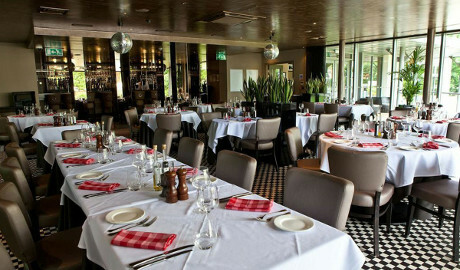 Marco's New York Italian Hoylake is a family-friendly New York Italian restaurant by celebrity chef, Marco Pierre White. 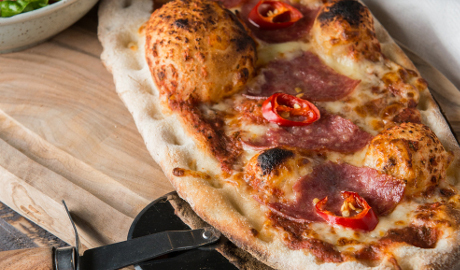 The menu has been inspired by his Italian heritage and love for American / New York dishes. 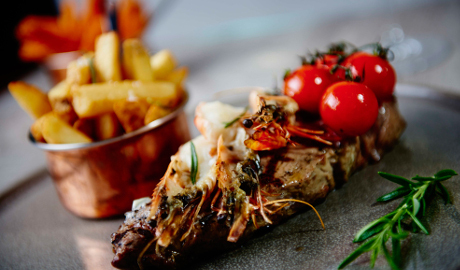 Making the most of fresh local produce, Marco's serves quality American-Italian food including a selection of fresh pastas, steaks, ribs, seafood, burgers and handmade pizzas. Situated in the heart of Hoylake, Marco's is at the hub of the community and offers something for everyone and every occasion. The relaxed but affordable setting is perfect for friendly get-togethers, business dinners or special occasions with delicious dishes served at any time of the day. But don't just take our word for it, come and enjoy the Marco's experience for yourself.